The PocketRocket 2 Mini Stove Kit defines big performance in a tiny package. An ultra-compact cook-and-eat kit for minimalist solo backpackers, it features the fast-boiling PocketRocket 2 stove and is perfectly sized to make hot water for one pouch meal or cup of coffee. For efficiency, its pot doubles as your eat-and-drink vessel and nests the stove and a 4 oz. MSR fuel canister. Outside, the extra bowl comes at no packing penalty. When small packs are mandatory on everything from alpine objectives to bike packing missions, this micro cook kit is your ally. 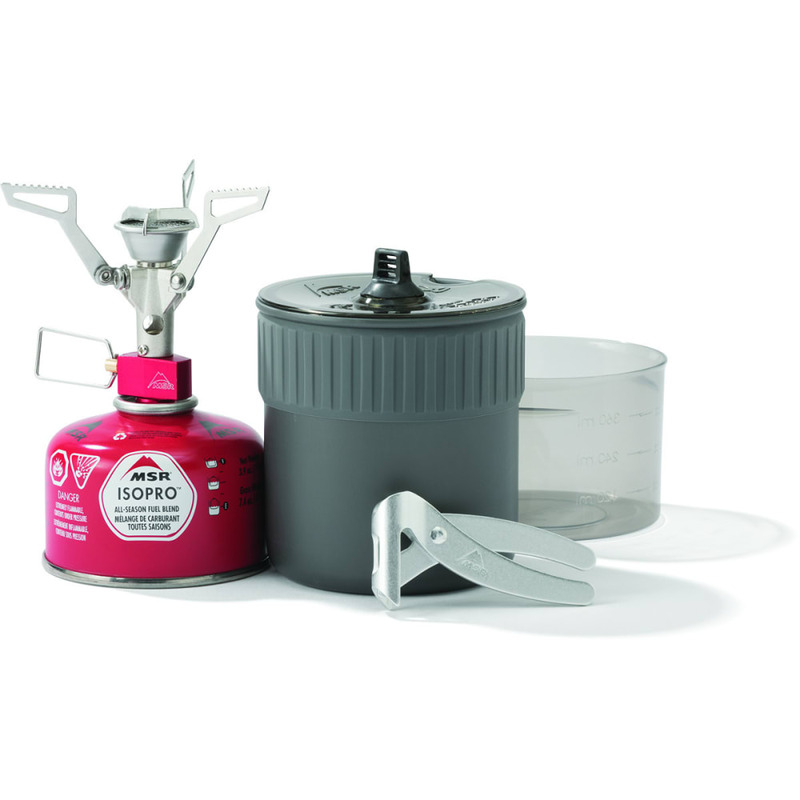 PocketRocket 2 stove, .75 L hard-anodized aluminum pot, 16 oz. bowl*, clear lid* with straining ports, ultralight mini pot lifter, and stuff sack. Room to nest 4 oz. ISOPRO??? fuel canister (sold separately).?? Minimum Weight (Standard): 8.3 oz. Packed Weight (Standard): 9.1 oz.